and achieved good results with it telling me which field contains which soil type. However, how do I get the area instead? This method uses the intersect() function from the raster package. The example data I've used aren't ideal (for one thing they're in unprojected coordinates), but I think it gets the idea across. # intersect - note that sf is intelligent with attribute data! Not the answer you're looking for? Browse other questions tagged shapefile polygon r intersection rgdal or ask your own question. Does the inputs extent have to be identical for raster::intersect to crop a RGB GEOTiff? 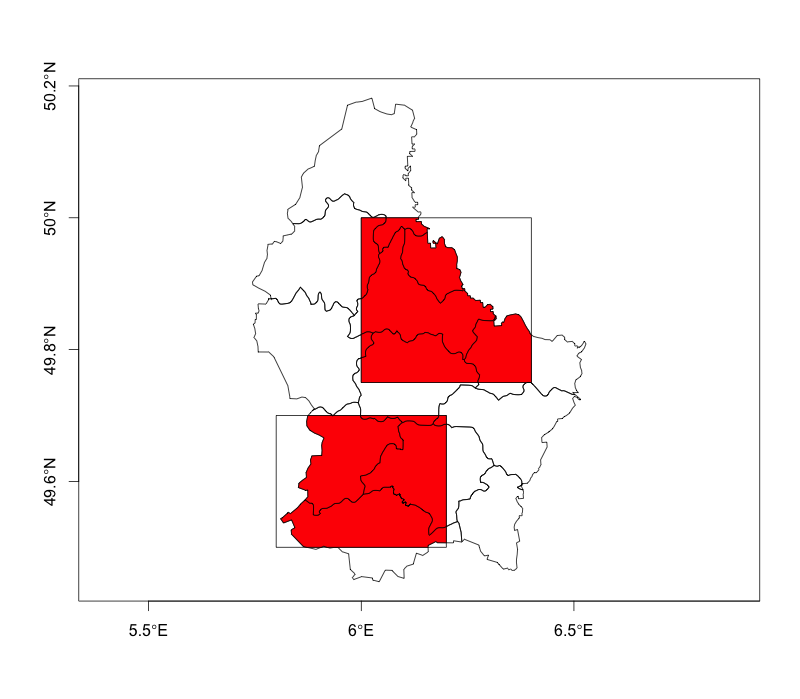 How can I connect my point pattern shapefile with my polygon window in R? 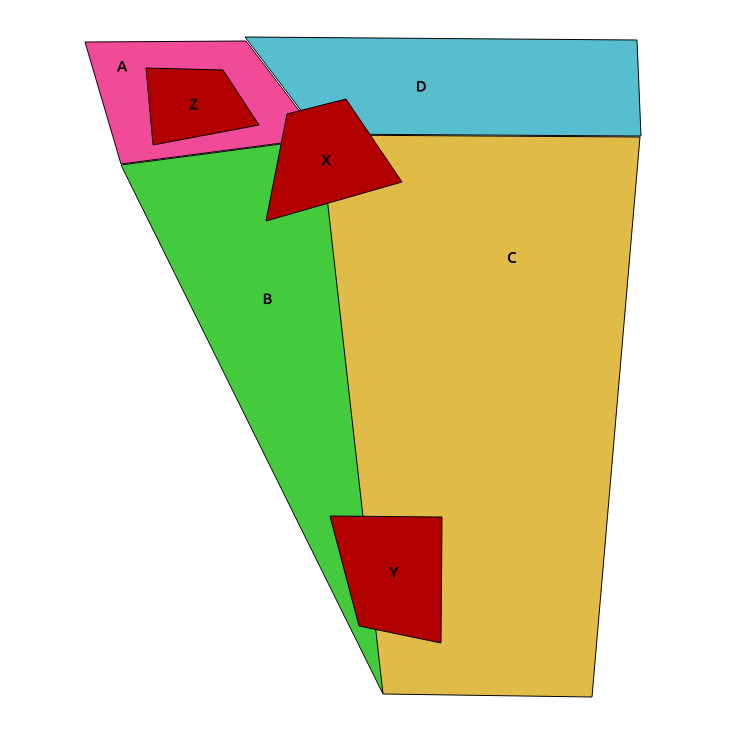 Identify adjacent and no-adjacent polygons between multiple shapefiles using R? Finding repeating polygons in multiple geodatabases (.gdb)?